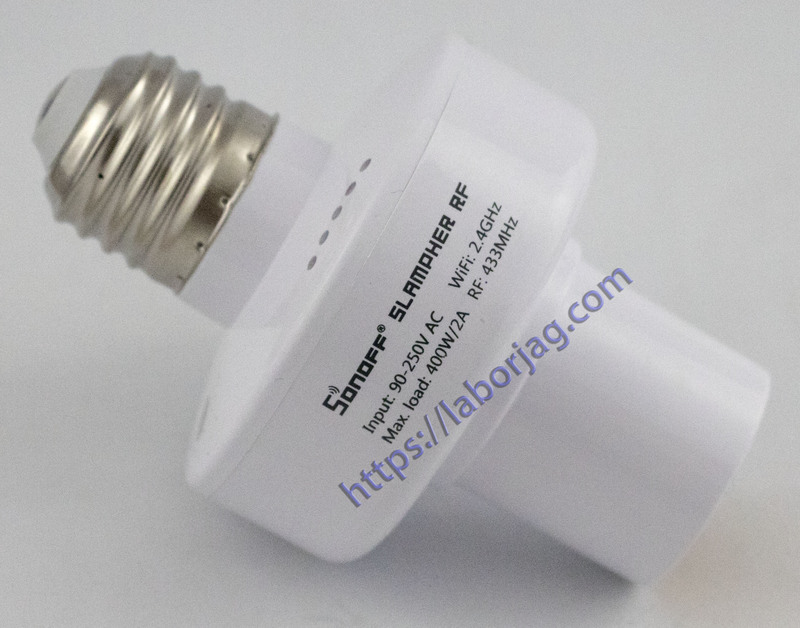 Sonoff Slampher is a 433MHz RF controlled & WiFi smart light bulb socket that can connect to light bulbs with E27 screw base. Slampher smart bulb socket transmits data to a cloud platform through a WiFi Router, which enables users to remotely control connected light bulbs, via the App eWeLink on their smartphone. The server of Slampher WiFi LED light bulb holder is A mazon AWS global server.